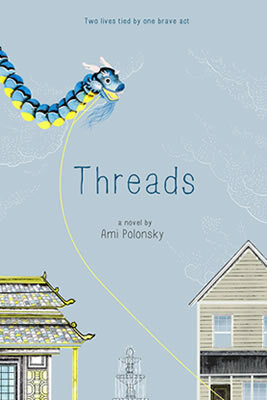 Threads follows two young girls—one an orphaned Chinese girl who is kidnapped from the street and forced to work making handbags in a factory full of kidnapped children somewhere in China, and the other—an American girl who is struggling to find happiness in the wake of the death of her sister. .
After Yuming is kidnapped and forced into child labor making purses, she takes a chance and writes a plea for help and carefully hides it in a purse. 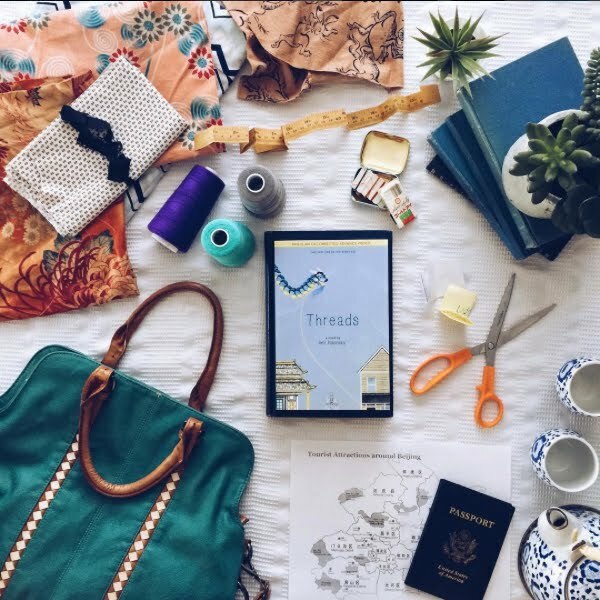 Clara, grieving over the loss of her sister, finds the note while hiding in the handbags when a mall trip with her friend is just too much for her to take. . The note and cry for help immediately touches Clara for several reasons. 1. Someone needs help and she’s the one who found the letter 2. Her late sister was adopted from China and she feels a special connection to the country and Yuming. . Alternating chapters, we hear from both Yuming and Clara as Yuming plots her escape and Clara plots the rescue. . I have some mixed feelings about this read. On one hand I was pretty gripped by some of these chapters and it became a page turner for me. I was horrified on the conditions of the children laboring in the factory. Especially because I know this actually does exist and happen in the world. On the other hand I kept wanting this book to be more. It’s very short and I would have loved to make it an even deeper experience. It’s an interesting mix of reality and an unrealistic storyline. Meaning, I think the way this played out was pretty realistic, at the same time understanding that pretty much no one would really be able to pick up and head to China on a dime to try and rescue someone. . I do hink that for kids this is fast paced, thoughtful and gripping read. I also think that it opens up points of conversation on what we can actually do to try and help children forced into child labor around the world. I loved Yuming very much and I could have read a book about her all day. Definitely one I would recommend and great for opening up conversation on how we can make a difference or help when it feels like a situation is too big for us.